As tensions flared between North Korea and the U.S. this week, Facebook and Twitter uses responded with unusual levels of engagement, according to an analysis released Wednesday of social media interactions with stories involving North Korea-related terms. The social media company SocialFlow tracked Facebook and Twitter interactions with stories that included the terms, "fire and fury," World War III," "apocalypse," "nuclear war," "nuclear arms race," North Korea threat," "missile threat," "nuclear holocaust" and "nukes," over the last week. The company found Twitter users' mentions of "nuclear war" surged. The term, which received only a few thousand mentions on days earlier in the week, shot up to roughly 140,000 Twitter mentions on Wednesday. The term "fire and fury," which President Trump used to depict the U.S.' potential response to North Korean aggression, also surged from virtual non-existence on Twitter to more than 100,000 mentions on Tuesday. 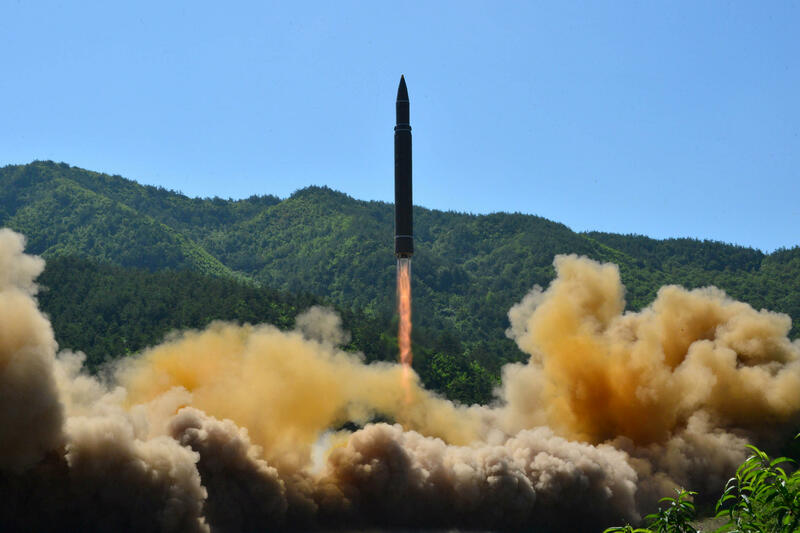 The mentions jumped after reports broke that North Korea is one step closer to being able to target the continental U.S. with a nuclear missile, and Mr. Trump pledged to meet North Korean aggression with "fire and fury" of a kind the world "has never seen before." Mentions for "World War III" also increased as the week progressed. But SocialFlow discovered this week's events sparked a rare social media occurrence as well. Facebook and Twitter users shared and retweeted stories with those aforementioned terms more than they "liked" those stories. That, according to SocialFlow, is a unusual event in hard news stories, showing high levels of engagement and interest. Retweets and shares also surpassed likes, for example, when Mr. Trump fired FBI Director James Comey. On Twitter Tuesday, stories involving any of those terms received 13,528 retweets and 11,607 likes. On Facebook Tuesday, stories involving any of those terms had 58,990 shares and 48,229 likes. Also on Tuesday, stories involving those terms saw unusually high numbers of comments on Facebook, a clear indication of active user engagement. Stories with those terms had 32,381 comments, not too far behind the number of likes they received -- 48,229. SocialFlow tracks social media trends of more than 300 media outlets, including CBS News. For this particular analysis, SocialFlow only analyzed Facebook engagement of stories published by its 300-plus clients, but on Twitter, SocialFlow analyzed data from all the platform's users.